*in this instance, I'm not referring to the chocolatey treat - I'm referring to fun hidden moments that designers put into their attractions for us nerds to geek out about when we learn about them, and to smugly point them out to those who weren't aware when we next visit. And on that note, bit of a disclaimer - I'm not saying you won't have heard of any, if not all, of these. And if you have, congratulations, you're a bigger geek than I am! We all know how Merlin love a good shipping container - it's even become so much of an in joke that they actually included an animated shipping container that got hurled at you by a demon in the original Derren Brown's Ghost Train! 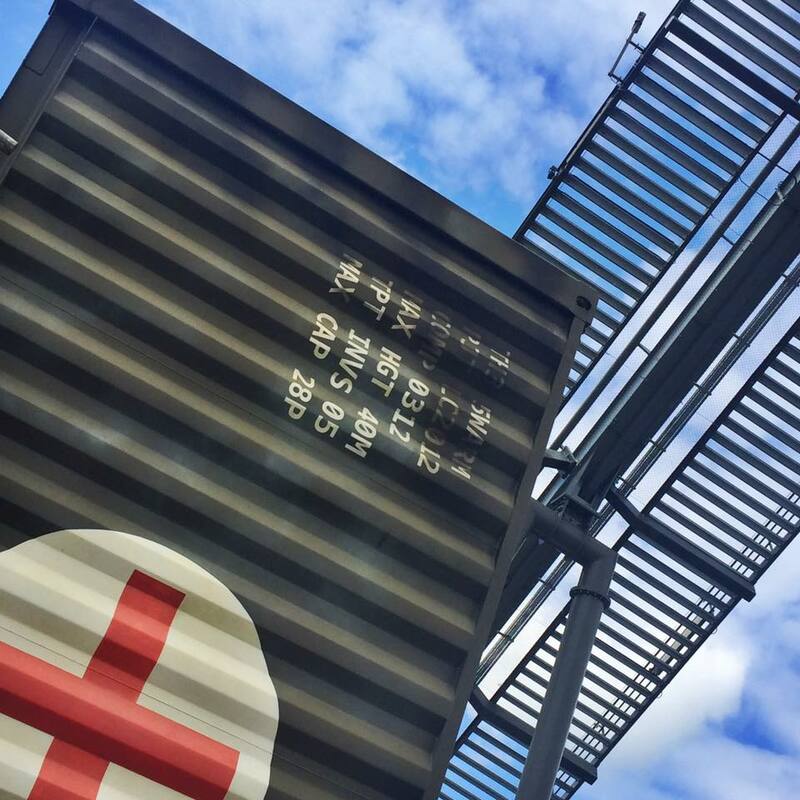 But, have you ever stopped to look at the letters and numbers painted on the sides of THE SWARM and SAW: The Ride shipping container shops? They're not accidental, they actually refer to facts about the rides, including their project names, top speeds and other facts! 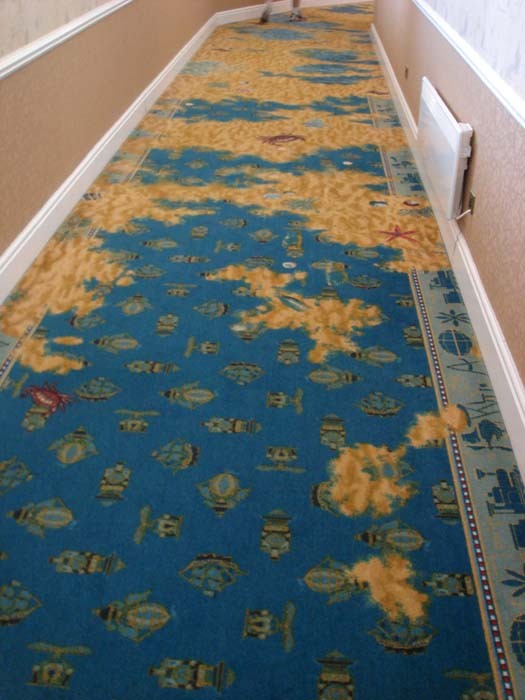 If you've ever been drinking at the Alton Towers Hotel bar only to have them close it on you and send you over to Ma Garritas in Splash Landings, then you'll have taken a lovely stroll down the corridor that connects the two hotels. The transition isn't that noticeable, apart from one striking moment where the carpet changes from the traditional Alton Towers Hotel style to a sandy Splash Landings style. Neat! Keep an eye out for a little crab who seems to have gotten lost! One of the frustrating things about visiting a park like Parc Asterix is that if you don't speak French then there's LOADS of fab in jokes in the style of the Asterix comics plastered all over the park. Nowhere is this more noticeable than in the OzIris queue. 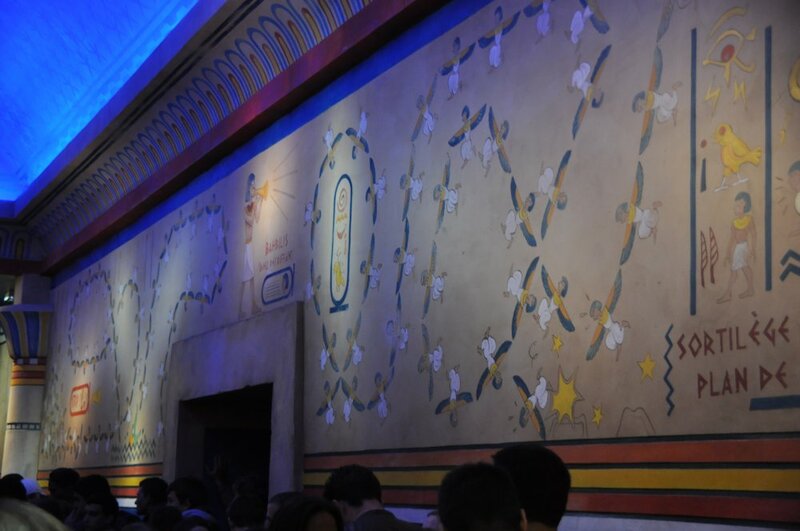 Cleverly disguised as hieroglyphics, the walls are absolutely packed with silly tongue in cheek jokes with everything from plays on pop culture to the designs actually drawing out the layout of the coaster itself. Of course we all know that Disney live for a good easter egg. The parks are absolutely crawling with them and have even spurred a series of books to help curious guests track them all down. Like I mean there's literally hundreds of the things. 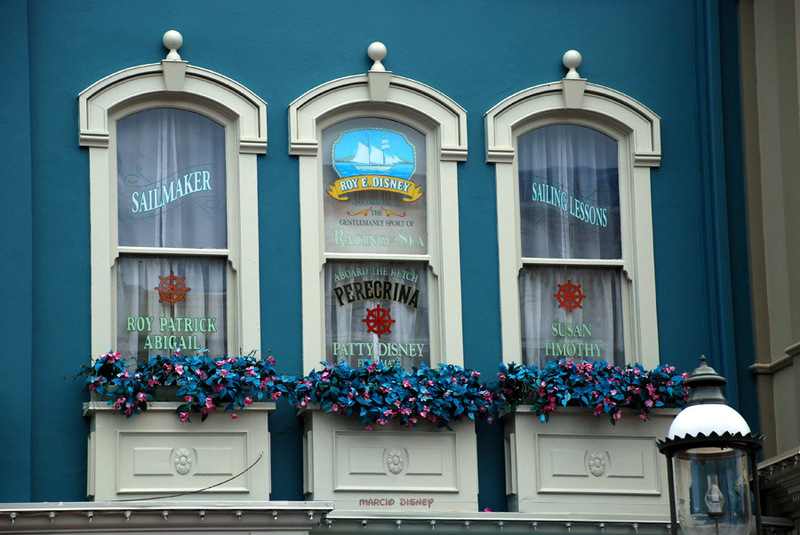 But out of all of them, my absolutely favourite is the fact that the windows down Main Street USA are decorated with the names of Imagineers! It is understood that you must meet three criteria to be honoured with a Main Street window: you have to be retired, you have to have achieved the highest level or service and achievement and park management and Walt Disney Imagineering have to be on board. Similarly to the Disney parks, the Universal chain are no stranger to a tasty easter egg. Any fan of Harry Potter will be well rehearsed on the hundreds of hidden details in the Wizarding World and where to stand to hear secret messages. One of my favourites though is more directly related to films and one of the main men behind Universal parks even existing - Steven Spielberg. Did you know the the world famous director himself is hiding in Men In Black: Alien Attack wearing a Jurassic Park baseball cap and holding a newspaper? Well, now you do! Before Dollywood was called Dollywood it had another name. In fact, it had four other names before becoming the park we know it as today! 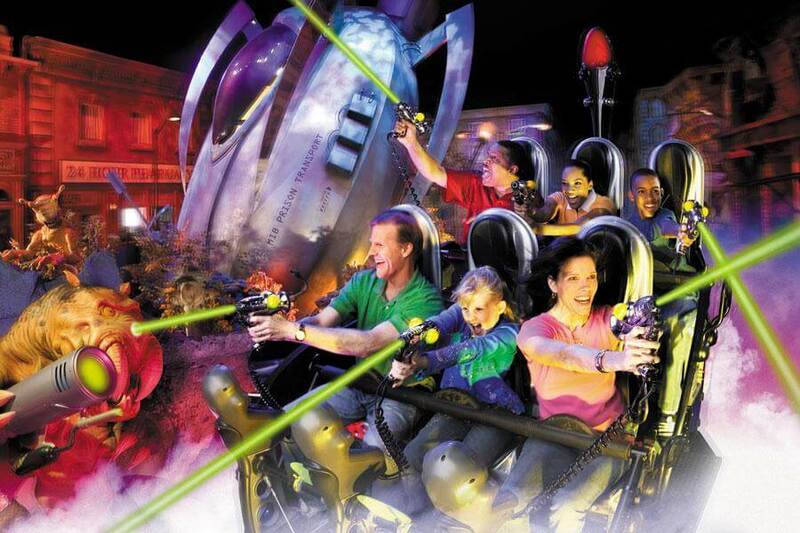 When riding Blazing Fury, during the burning down town scene keep your eyes peeled for a signpost pointing the way to four towns: Rebel Railroad, Goldrush Junction, Goldrush and Silver Dollar City - otherwise known as all of Dollywood's previous names! 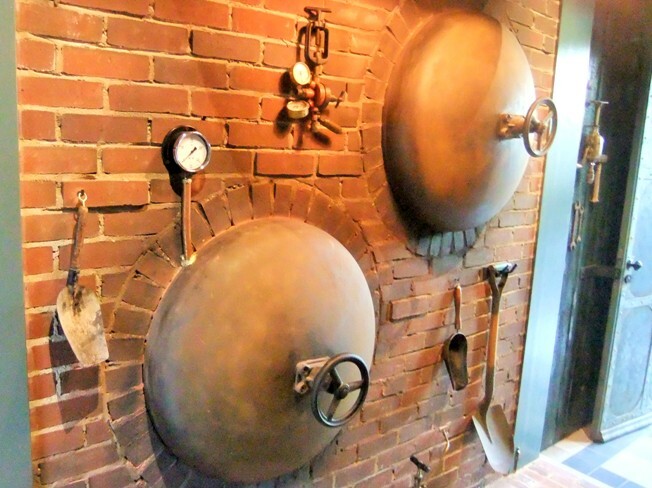 When excavating the land that would soon be home to B&M Dive Machine Baron 1898, workers stumbled across an old underground tank, presumably a remnant from an old outdoor pool that used to live on the same site. But waste not, want not - Efteling repurposed the old tank and it can now be found in the photo room as you exit the coaster! Those are my favourites! 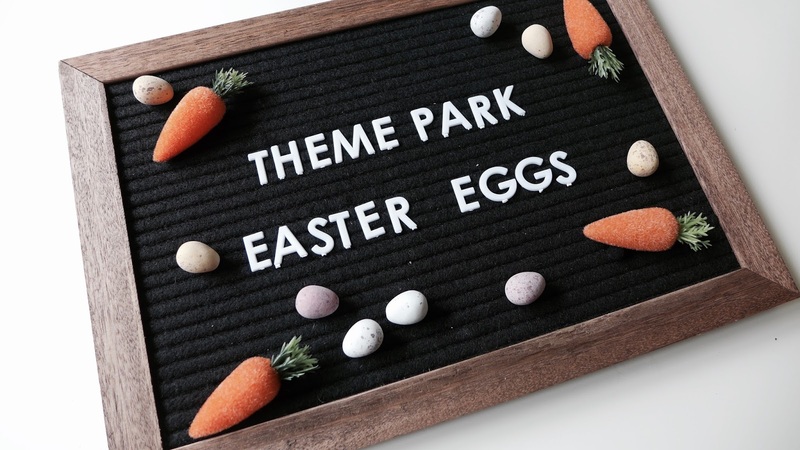 I'm sure there are still thousands of theme park easter eggs that we don't know about yet that designers are just waiting for us to stumble upon! Did I miss your favourite? 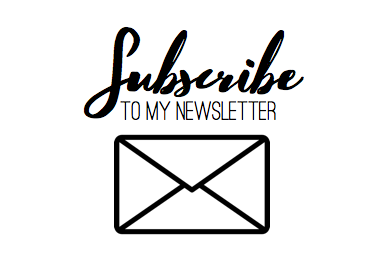 Never fear, you can let the world know by leaving a comment below!